Cool dads get to have all the fun. They get to buy Sonic Youth onesies for their kids. Stephen Malkmus keeps putting out albums. The big music festivals have the good sense to trot out The National and Wilco, keeping cool dads happy, connected to the music scene. But what about the cool moms, grown-up riot grrrls looking for a little inspiration? Kim Deal has you covered. She’s literally gotten the band back together, the original (and best) incarnation of The Breeders, comprised of her sister Kelley Deal, Josephine Wiggs and Jim Macpherson. Each member of the group has remained dedicated to making music, together or apart, since their last album with this lineup, 1993’s Last Splash. The drive to continue making albums and touring is admirable 25 years later. Coupled with the much-discussed issues of addiction that plague the Deal sisters, All Nerve is even more remarkable. Their earthy, lo-fi vibe has been preserved, sounding classic and nostalgic in 2018. And with all the new, young, female-led rock coming from all corners of the music universe, it’s even more special to get new material from such an obviously influential band. All Nerve feels a bit like a greatest hits album, despite having no previously released songs. Each track is an homage to something that already exists in The Breeders’ canon. But that doesn’t have to be a bad thing. Though All Nerve rarely feels contrived, it’s easy to draw a line from new tracks to the ones of the past. “Walking with a Killer” has the contemplative tempo and mood of “Drivin’ on 9” (off of Last Splash). Both songs set the scene in their native Ohio, a bleak backdrop at the intersection of stifling suburbia and vast nothingness. “Spacewoman” has the slow build and plucky bass of “Gigantic,” one of the more obvious Deal contributions to the Pixies’ oeuvre. There are moments that are a bit on the nose. “Wait in the Car” starts off with Deal shouting “good morning”—a loud, monotone, non sequitur that smacks of irreverent ‘90s lo-fi (perhaps the fuzzy mic check that kicks off their biggest hit, “Cannonball”). It’s quickly redeemed with its catchy track that begs for an in-concert sing along. While hope feels thin, All Nerve isn’t a collection of songs about despair. There is an anxious current running beneath each track, electrifying and inconsolable at the same time. Throughout the album it feels like the group is evicting shame to make space for loneliness (or maybe just reflection). The optimism comes from the existence of the album, and the collective effort of the four people needed to make it happen. Men have often been given the space and time to continue the pursuit of art and vanity. 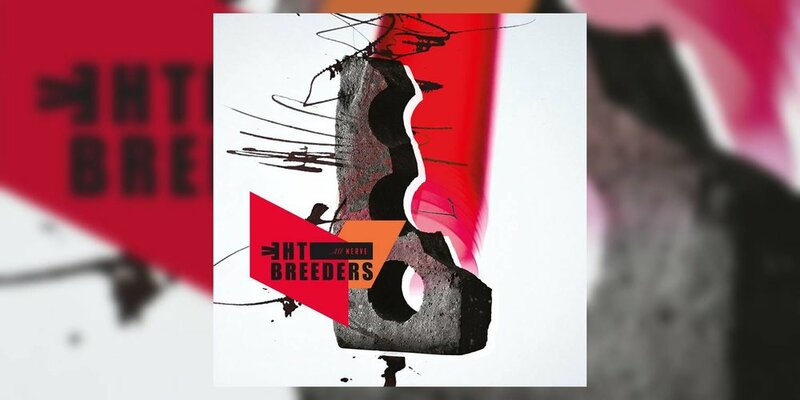 Waiting ten years for The Breeders to give us another album is an act of faith their collective talents are worthy of. And as most cool moms would remind you, patience is a virtue.